2018 release. At 80 years old, NEA Jazz Master Charles Lloyd remains an intrepid musical pioneer, entering his ninth decade at a creative peak in what now stands as a mountainous and formidable career. 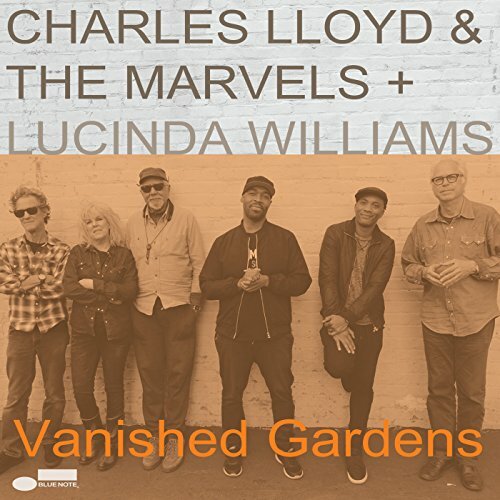 With his band The Marvels—a guitar-driven group featuring Bill Frisell, Greg Leisz, Reuben Rogers, and Eric Harland—Lloyd released the 2016 album I Long To See You which NPR called “music that evokes an uncommon state of grace.” Now on Vanished Gardens, The Marvels add a new dimension by collaborating with revered singer-songwriter Lucinda Williams to pioneer a new genre of Americana Jazz that draws on the musicians many influences and experiences with reimagined versions of Williams favorites, new Lloyd originals, and covers of Jimi Hendrix, Thelonious Monk, and more.